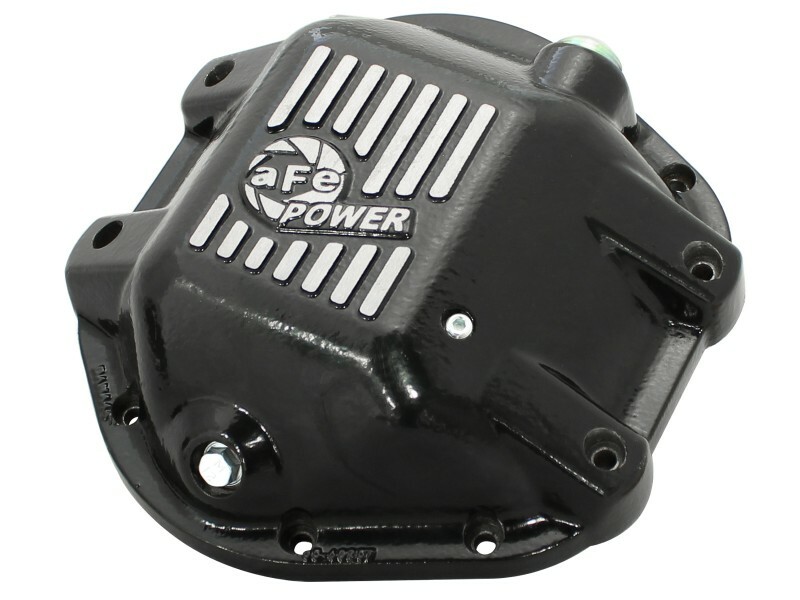 aFe Power's front and rear differential covers bring performance and protection to your diesel or gas truck's front and rear end. 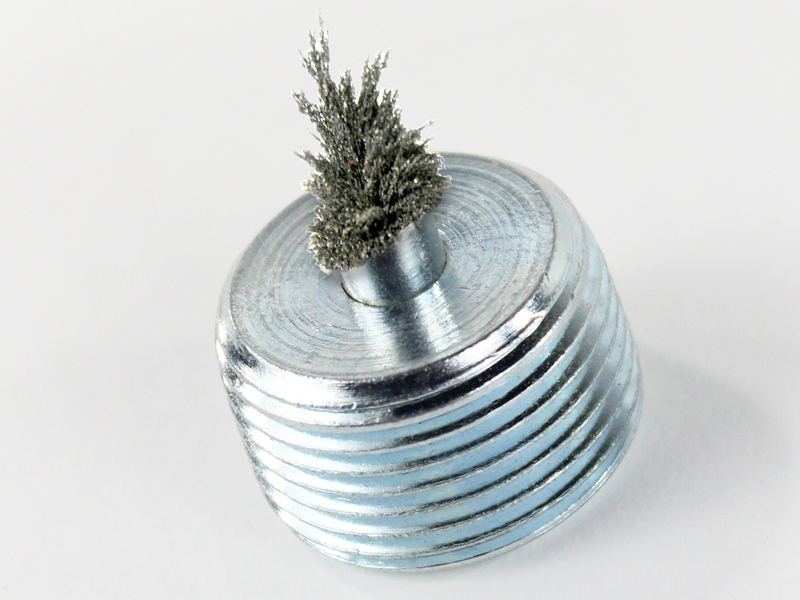 The neodymium drain plug helps catch any lose particles, protecting your gears. 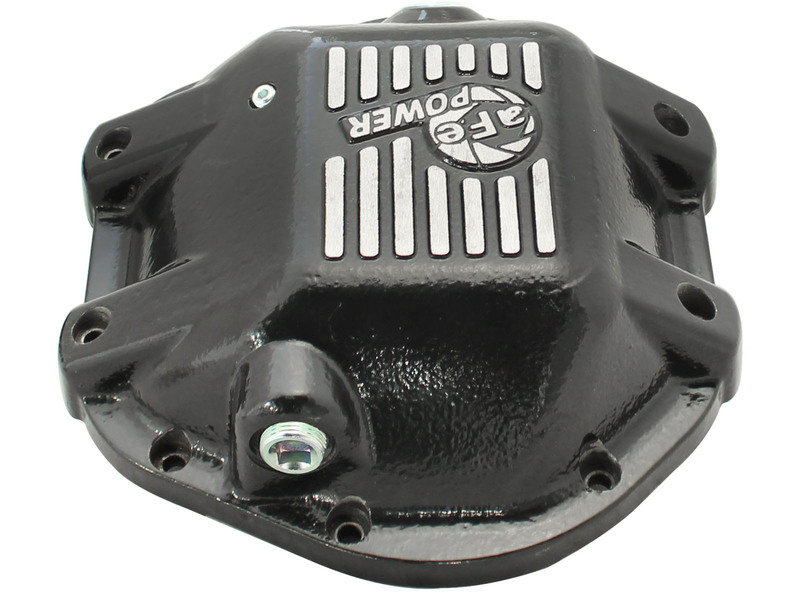 These differential covers are constructed out of durable cast aluminum with reinforced ribs for maximum strength. 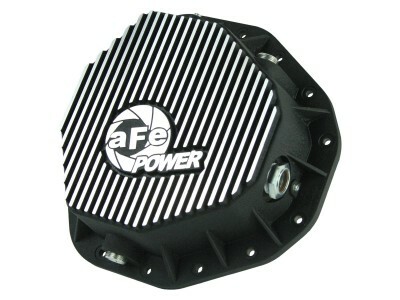 aFe Power's rear differential cover helps protect against heat when towing by adding additional fluid capacity. 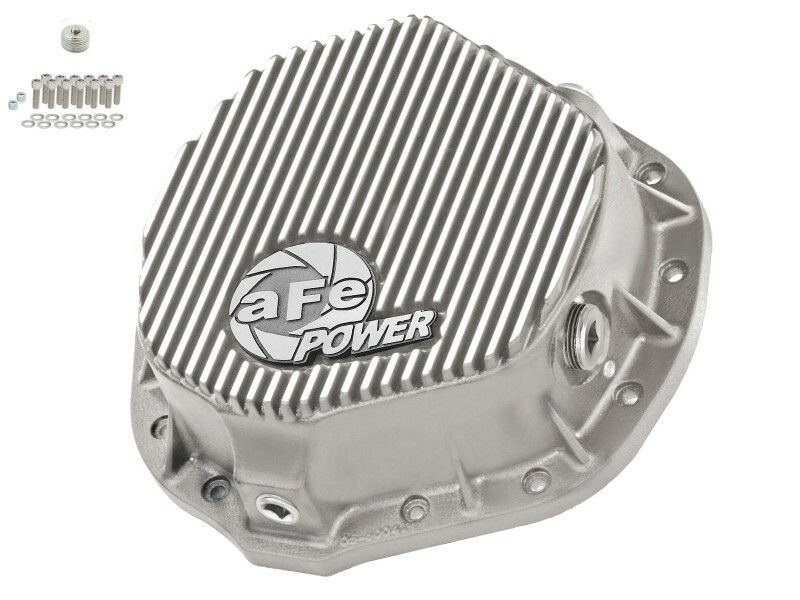 The built-in internal or external fins transfer heat from the fluid to the outside air for maximum cooling. 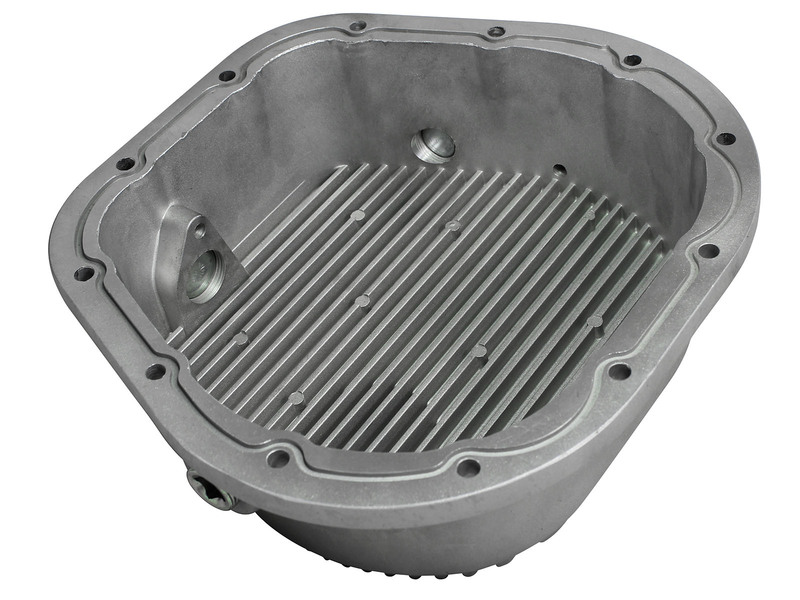 Internal (depending on application) and external fins transfer heat from the fluid to the ambient air for maximum cooling. 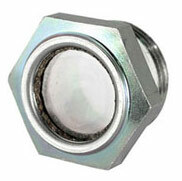 for a leak free seal. Jeeps were made to test limits time and time again. 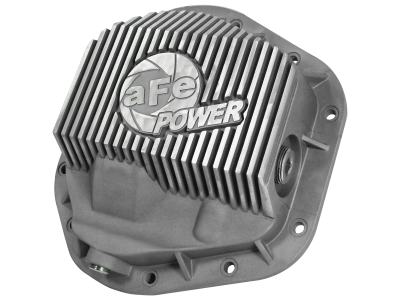 The aFe Power front and rear differential covers will help keep you on and off the road for whatever task you throw at it. 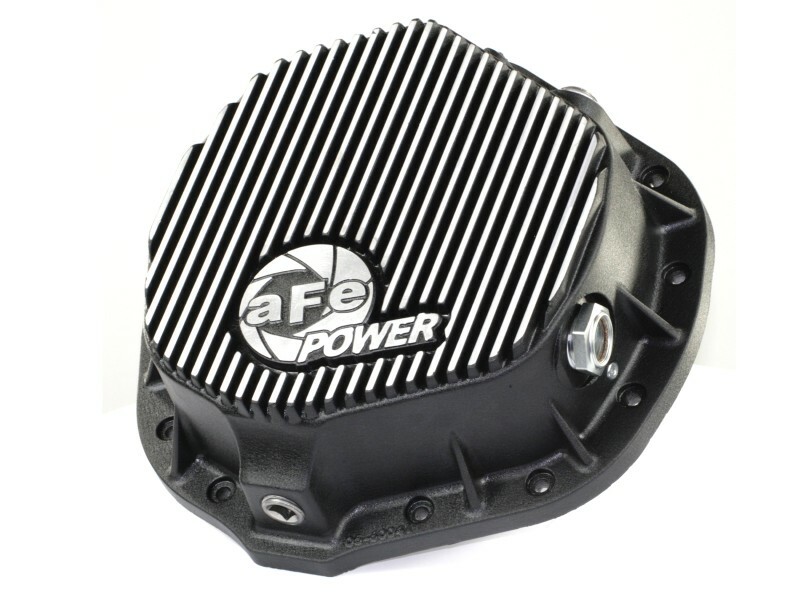 Weighing in at a hefty 14 lbs., this cover is ready to take a beating on the trail. 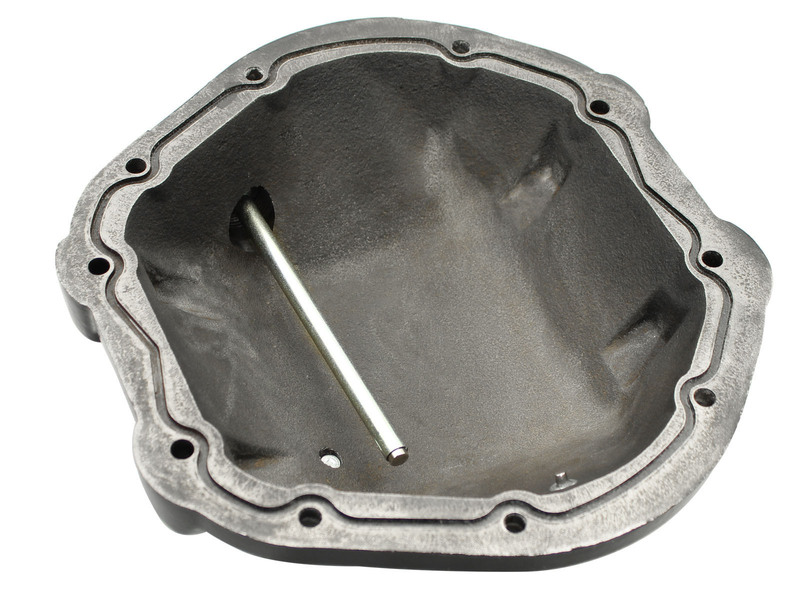 These covers are constructed from heavy duty, nodular iron for increased strength and durability. 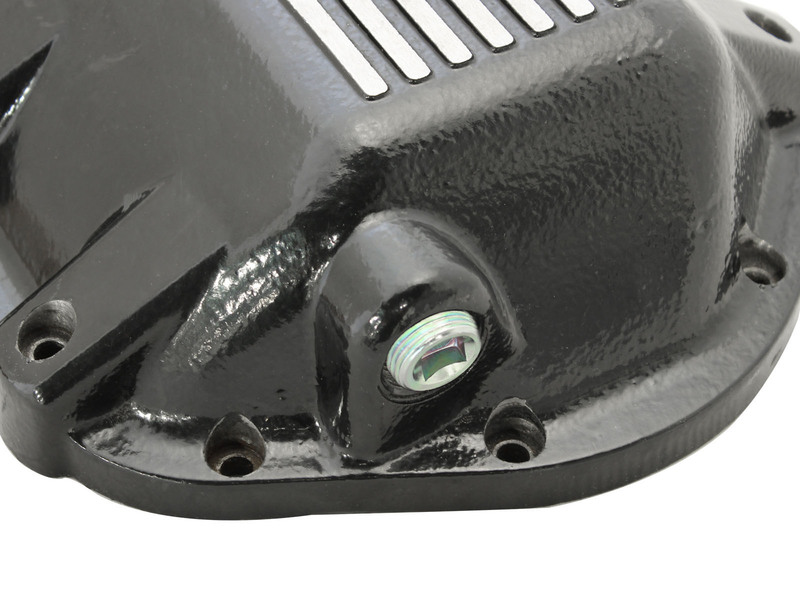 They feature recessed hardware and a smooth design which reduces rock hang up, protecting against impact damage. The covers are powdered coated black with machined fins and finished offer with a clear coat for added protection and style. Added capacity help keep fluids cooler. 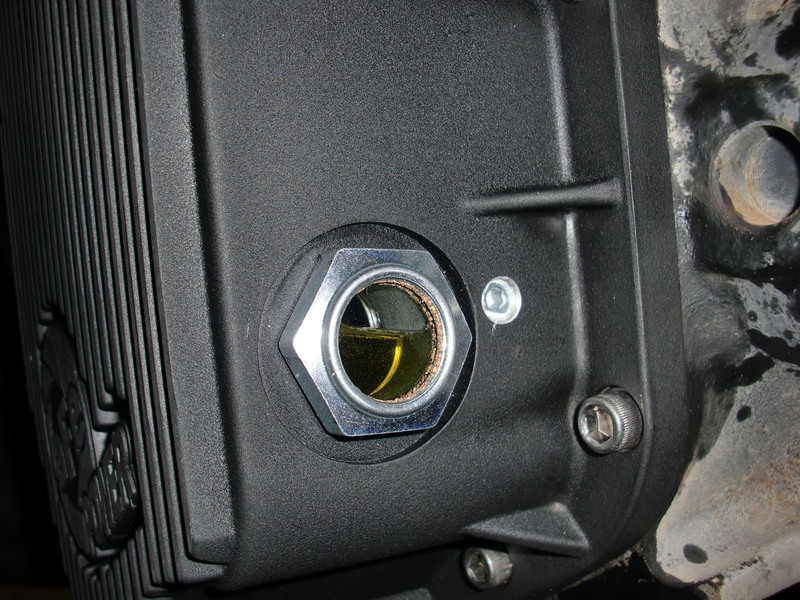 A deep reach magnet and a magnetic drain plug capture loose metal particles, protecting ring gears from damage. 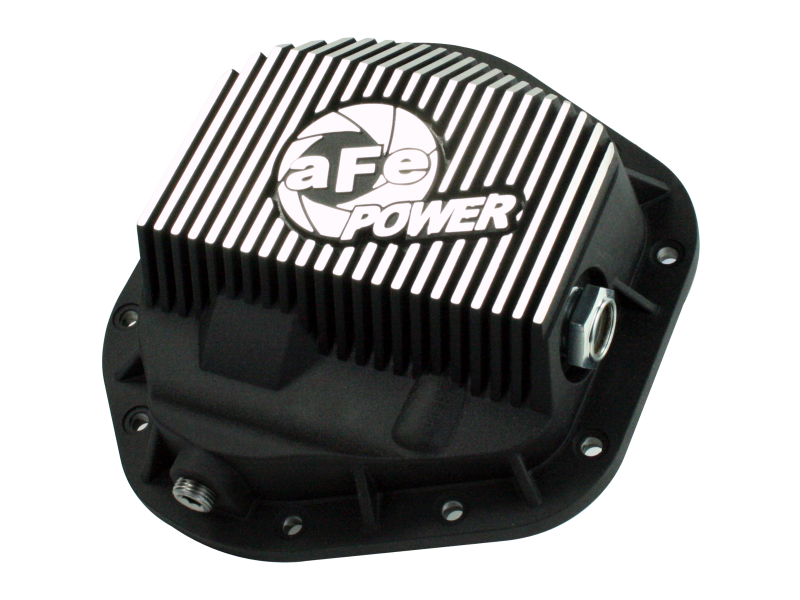 This system incorporates both a magnetic drain plug and a deep-reach magnet to capture loose particles for maximum rear-end protection. 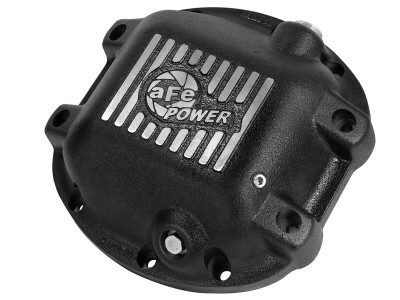 A small outlet ensures the correct level of fluid is inputted in the front or rear differential. 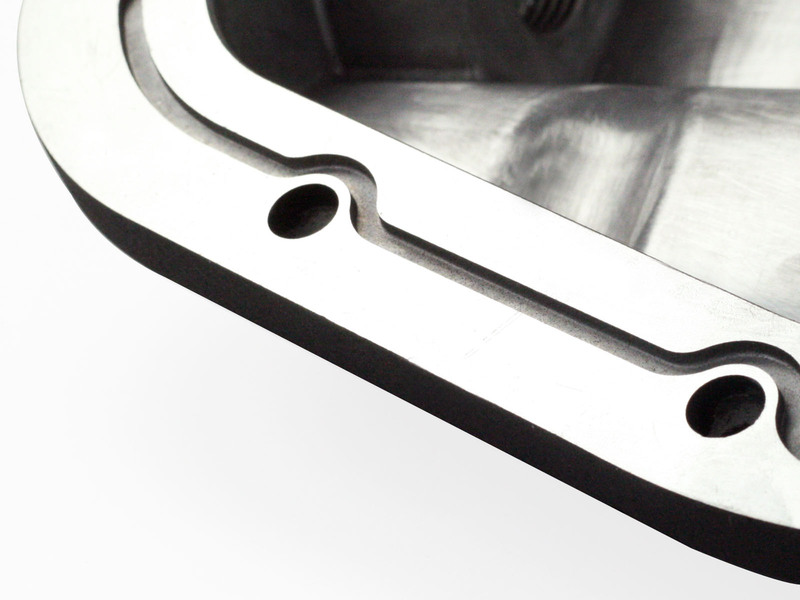 Constructed out of heavy duty nodular iron (Ductile Iron) for increased strength and durability.